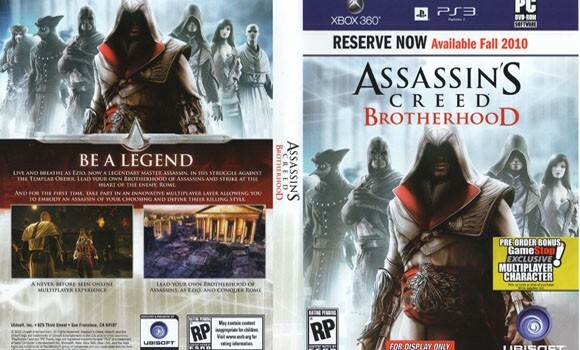 The first Assassin's Creed game to feature multiplayer will be coming later this year with Assassin's Creed Brotherhood. From the boxart below it seems Gamestop will be offering exclusive characters for the mode. Ubisoft promises more information next week with an official confirmation.